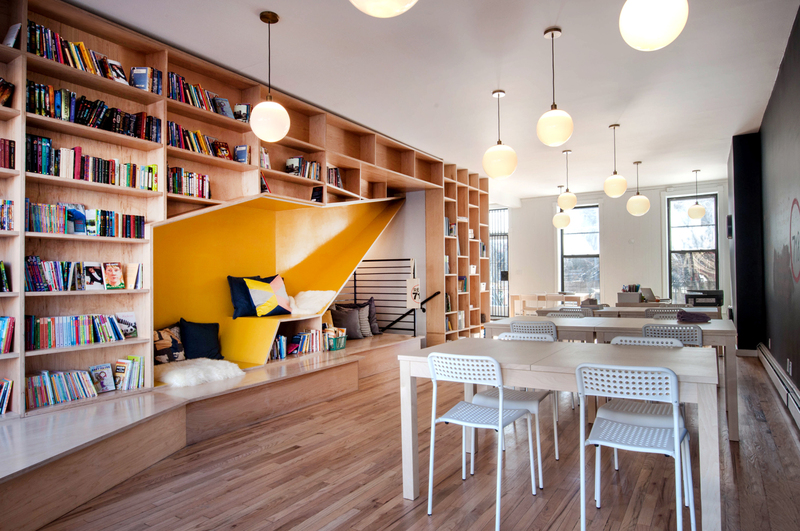 READ 718 combines a ground floor and cellar commercial space to create a new not-for-profit tutoring center for middle school and young teen students. 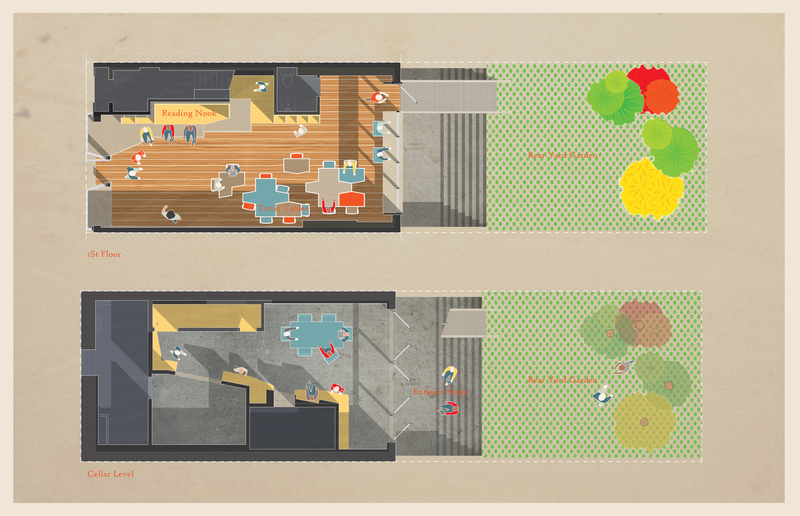 The design features a ‘habitable bookshelf’ with a built in reading nook and informal seating platform for group activities. 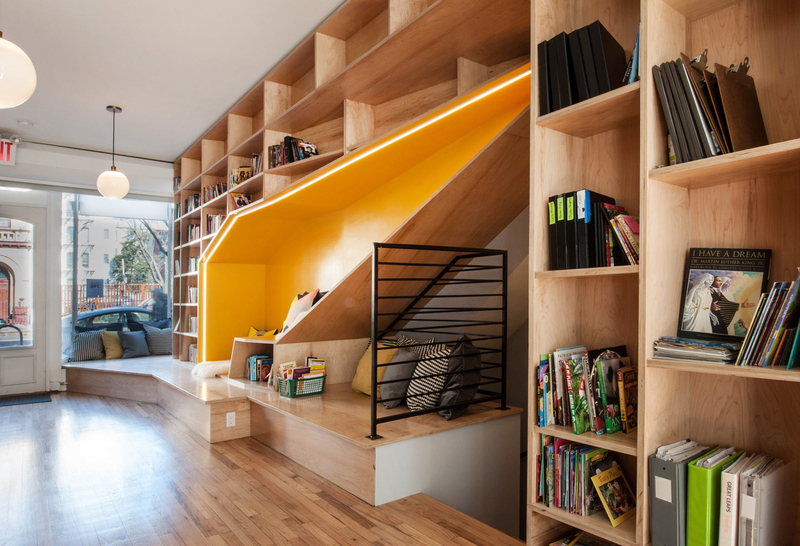 The bookshelf structure frames the new stair that connects to the cellar space. OPerA Studio obtained a change of use permit and new certificate of occupancy to convert the ground floor and cellar space and combine them. 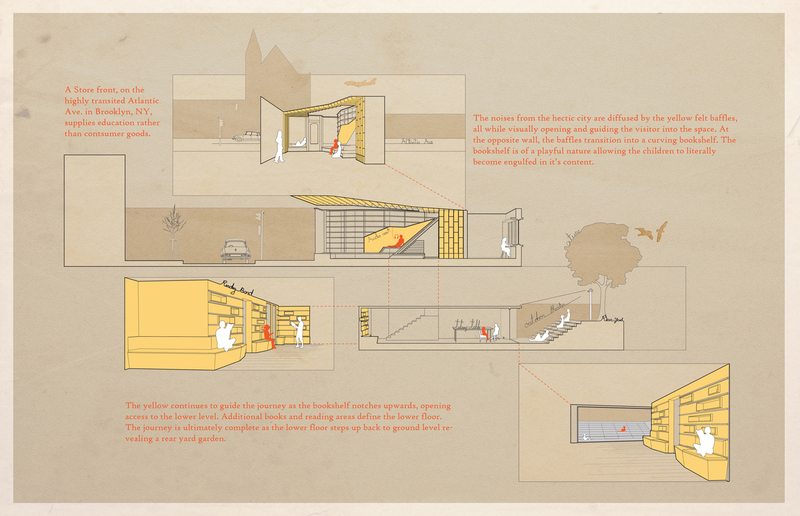 The original design included a series of felt wrapped baffles to provide acoustic absorption, on the ground floor, and a new areaway with floor to ceiling windows connecting to an outdoor stepped seating area for informal reading and gathering, on the cellar.